Garbage disposals, like any other frequently used kitchen appliance, require occasional repairs and maintenance to ensure proper functioning. Discovering clogs or jams in garbage disposals is not uncommon, but measures can be taken to prevent them from ever forming. 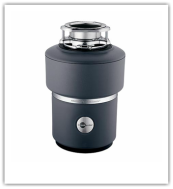 The blades in a garbage disposal will become dull over time, and many home repair experts suggest feeding a variety of materials, such as chicken bones or glass, into the disposer to sharpen the blades. Regardless of what you might hear, the only safe material to feed into your disposal to sharpen the blades is ice. You should also avoid feeding materials with husks, such as corn, and stringy vegetables, such as celery, into your disposal to avoid a jam. In addition, avoid pouring grease down the drain as it can clog. If you have poured grease down the drain, try running hot water for a few minutes to flush it out. ​We offer free phone advice for even the do it yourself-er. "Our garbage disposal was making a loud grinding noise. Channing the owner came out and after investigating had discovered it was simply worn out. He quoted me an upfront price for replacing it and within an hour we had a new unit. Many Thanks." Garbage disposals are an extreme convenience in today's kitchens. 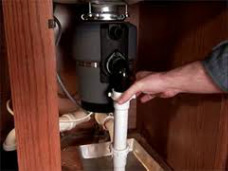 We are happy to help weigh your options weather you should repair or replace your garbage disposal. When you need a professional you can trust.